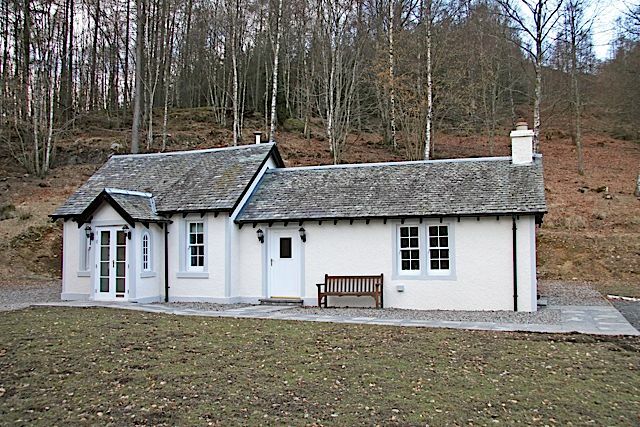 Although just half a mile from The Whitehouse of Dunira, this delightful and extremely well-furnished cottage has a wonderfully secluded feel, set on high ground, surrounded by woods and with a waterfall close by. Cluen has an open plan lounge and a light, comfortable dining area and generously well-equipped kitchen, together with a large utility/boot room and a drying room, ideal for stalking clients. Two twin bedrooms and a well-fitted bathroom assure a comfortable and relaxing stay. 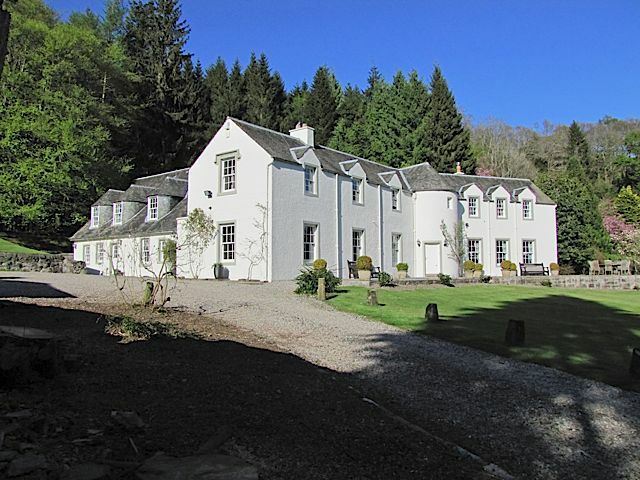 An elegant, tastefully furnished country house, set in charming garden and offering generous, well presented accommodation of character. 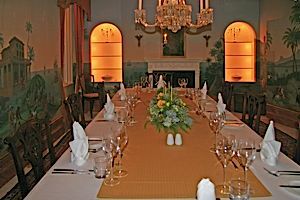 The ground floor comprises a spacious drawing room with open fire and elegant piano, snug TV room with open fire, a dining room which can seat 12 with hand painted mural walls and looks out over the south facing gardens. On the first floor are seven beautifully spacious, comfortable and well fur- nished bedrooms. There is a master bedroom with en-suite, two double bedrooms, both with en-suite, and four double bedrooms with two bathrooms. The property also has cloakroom, gun room, boot room, w.c. and drying cupboard perfect to accommodate the guns. A front of house manager, house staff and our resident chef are here to look after your every need, including a fully-serviced breakfast and dinner together with lunch and afternoon tea. Guests are encouraged to make use of the three-quarter sized snooker table in The Lodge, just across the courtyard from the Whitehouse. 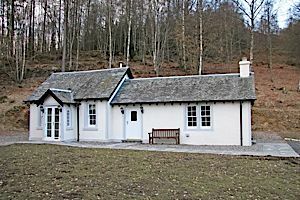 The Lodge Annexe, newly developed in Sept 2010, gives even more comfort to this already well presented and smart accommodation beside the Hunting Lodge. 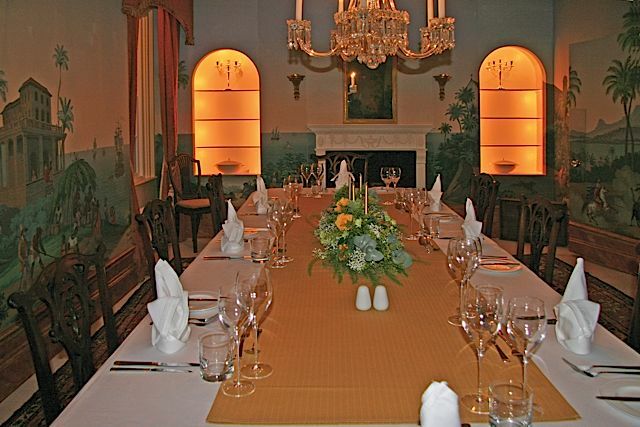 The stylish bedrooms, 'The Monarch Suite' and 'The Pheasant Suite', will give any hunter a warm welcome and a good night's sleep, with views over the south-facing garden, courtyard and tennis court. A traditional bothy set high on the hills of Dunira, it can be seen from miles around and boasts some of the finest views in Perthshire; the jewel in the crown of Dunira and the perfect place to lunch (the dining room seats 12, there’s a full kitchen, w.c. and the property is fully staffed) or just a good stop off point for that all-important eleven o’clock break and just enjoy that view - it’s truly spectacular.